Long before the rise of Boko Haram insurgency in the northern part of Nigeria, especially in the North-East, Stephen's Centre established about 15 years ago had been giving hope and life to people and especially rendered homeless and orphans from various parts of the country. 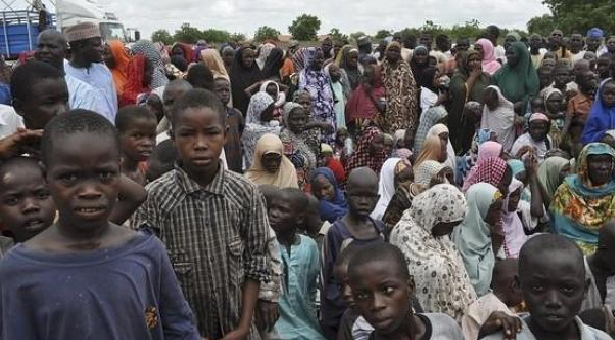 As many thousands of lives have been lost and property worth several millions of naira lost to insurgents and religious strife, several people have also been rendered hopeless, homeless and resident in various Internally Displaced Person (IDP) camps in the country. Aside this, many women became widows while several children were orphaned. And often times, especially in this part of the world, managing trauma of such victims is not always given a priority by the government. Among humanitarian organisations that have taken up the challenge to provide succour and hope for these categories of victims across the country is the Voice of Christian Martyrs of Nigeria. Meanwhile, a particular individual within the top echelon of VOCMN, Rev. Isaac Newton- Wusu took it upon himself to establish a special centre that had been offering refuge for children of insurgents' victims from the north. The centre that started from few lock-up shops in the city of Abeokuta, the Ogun State capital, had grown in size and scope to a school that offers quality education for orphans and children displaced from the crisis torn parts of the country. Started 15 years ago with just eight children, Stephen Centre, located in Obantoko area in Abeokuta, Ogun state, and had grown to a full-fledged educational institution with over 400 children of Boko Haram's victims enjoying free education and other life-changing facilities. Speaking recently at the Centre's 12th prize-giving day and 7th valedictory service and commissioning of Victoria Dinning Hall and Eco-Solar Kitchen, Newton-Wusu recalled how he conceived and started in makeshift locations with just four orphaned kids from the north. "It has been fifteen years we moved here. We started from a few lock-up shops before God and help from well-meaning individuals turned the place around. From eight children to now 400 children who lost their parents to religious riots and insurgency, Stephen Centre has now become a refuge to children whose parents perished as a result of unrest in the North East," the Director stated. He disclosed that the centre in the next three semesters, would produce a lawyer and a town planner, and advised the graduating students not to relent in their quest to get a good education for better tomorrow. Wife of the Ogun State Governor, Mrs. Olufunsho Amosun, who was represented by the wife of the Speaker, Ogun State House of Assembly, Mrs. Oluwaseun Adekunbi, commended the centre for giving succour to the distressed children and encouraged them to take the advantage offered by the school to chart a better course for their future. In his remark, the chairman of the event, General Ishaku Dikko (rtd), expressed his delight at the level of development in the school and commended the brain behind the school for giving hope to not only the kids of victims of the Boko Haram group, but also to the widows who ordinarily had lost hope in life. However, General Dikko, who is the chairman, Hausa/Fulani/Kanuri Christian Association of Nigeria, called on Nigerians not to see Boko Haram phenomenon as the headache of the North East alone, but a national security challenge which required collective efforts to tackle.